Wearing Slavia´s kit with armbrand and playing key role in visitors 2-0 victory. 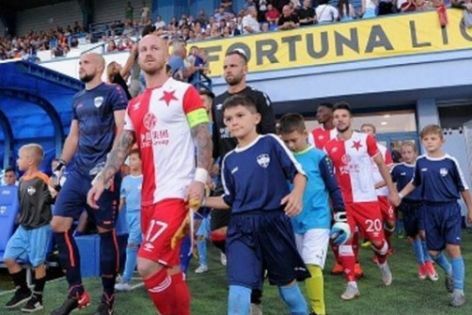 Miňo Stoch scored and assisted in friendly game against his mature club. "Time goes by very fast. 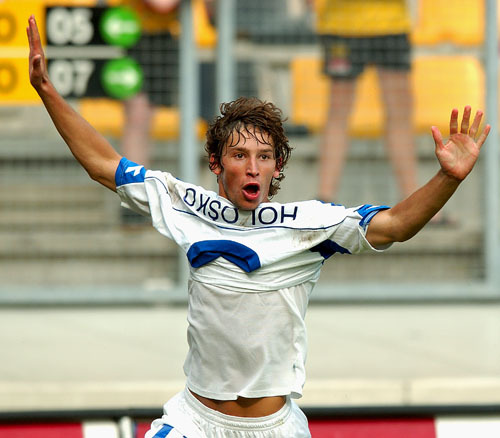 It´s been more than 10 years since I left this city and FC Nitra," says Miroslav. "I enjoyed the game despite it was only friendly. My aim was to score on brand new stadium which is very nice. Nitra is my favourite city, place where I was born and I think i will come back one time and play for this club. That could be a great career finish." "All my efforts now go to Slavia. Last year we have won the Cup and earned ticket to group stage of Europa League. I would like to win the championship title this year," added Stoch, determined. More players from our company played in FC Nitra´s new stadium opening game, incl. goalkeepers Hroššo and Šípoš, young international Chobot or Ukrainian Illya Cherednychenko. Centre back Richard Križan and striker Tomáš Vestenický were missing due U21 international duty.